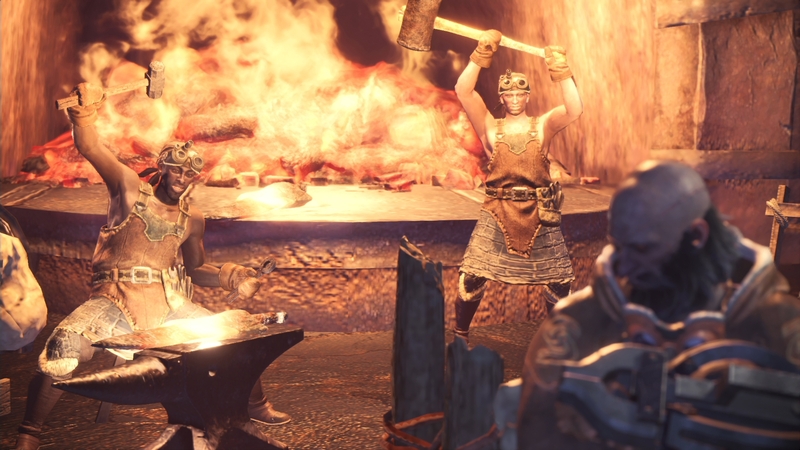 At its surface level, the combat system in Monster Hunter World is quite simple – you hit giant monsters on the head with even bigger weapons until they fall over. Once you start to dig deeper though, there’s tons of tactical play, strategic combos and hidden mechanics to wrap your head around before you can truly master the art of monster hunting. Here’s our guide to the Charge Blade, one of Monster Hunter World’s most interesting weapons, so you can get the best out of your builds and combos. If you’d prefer to watch or listen along, we’ve embedded a video from Arekkz below that goes over all of this information below. The Charge Blade is a complicated weapon that functions both as a sword and shield and a huge great axe. Unlike most other weapons, you also have the added nuance of managing phials of energy, and releasing it at the right time. In its default sword and shield mode, the Charge Blade begins to charge its phials with each attack you land – they go yellow first, then red when they’re fully charged. If you keep attacking in sword mode when your phials are red, they’ll start to flash and your attacks will start to bounce off creatures. When using axe mode, you can use that energy to deal damage. You can also transfer it to your shield to boost your defences. Because of its versatility in both sword and axe mode, there are a number of viable combos that get the most out of the Charge Blade. When in sword and shield mode, pressing Triangle or Y starts you most basic combo, while holding and releasing Circle or B performs a charged double slash. Don’t hold circle for too long though, or you’ll overcharge the attack and it’ll be much weaker. Pressing Triangle and Circle or Y and B at the same time at the start of a combo performs a forward slash which is great for closing distance between you and a monster quickly. It does more damage than your basic Triangle or Y attack, so it’s good to kick off combos. If you press Triangle and Circle or Y and B at the end of a combo though, it performs a shield thrust attack. Combining a charged double slash and shield thrust is your most efficient combo for charging your blade’s phials, so it should be one that you use often. Another great move to work into combos is the sliding slash. This lets you reposition yourself during attacks and is performed by pressing the left stick in and pressing Circle or B. One of the Charge Blade’s most powerful attacks is the amped element discharge, which is performed by pressing Triangle + Circle or Y + B three times while in sword and shield mode. This combo incorporates a forward slash, shield attack and overhead axe chop that deals a lot of damage. If you’ve got phials stored, the final attack will deal extra phial damage. This combo can also be used to transfer phial energy to your shield to boost its defensive capabilities. You do this by pressing the Right Trigger (R2) after the third Triangle + Circle or Y + B input. This cancels the overhead axe attack animation, instead performing a backhanded spinning sword slash. When you’ve transferred energy to your shield the icon below your health bar will glow red and you won’t be knocked back as far when you block things with your shield, your axe attacks will be more powerful, and your shield thrust will deal additional phial damage. Charging your shield also opens up the Charge Blade’s most powerful attack: the Super Amped Element Discharge. This is performed by pressing Triangle + Circle or Y + B three times when your shield is charged and your phials are full, changing the combo’s final hit into a long-reaching smash that deals exceptionally high damage. You can also transfer charge into your sword. You do this by pressing the Right Trigger + Circle or B, and then holding Triangle or Y during that animation. When the sword locks into the shield after a second, release the button and you’ll unleash an overhead slash. Don’t hold it too long, or you won’t get the bonuses. This combo makes it so your sword attacks deal more damage and can’t bounce off of monsters. From sword mode, you can change your Charge Blade into axe mode by pressing the Right Trigger to guard and then Triangle or Y. Alternatively, you can just press the Right Trigger when your weapon is sheathed to go straight into axe mode. When you’re in axe mode, you can press the Right Trigger again to perform a spinning slash and morph back. You basic combo in axe mode is weak, but really useful for hitting flying enemies like Mernos or tall monster’s tails and wings. This is performed by pressing Triangle or Y twice. Moving forward while you press Triangle or Y turns the attack into a dashing chop. One of the Charge Blade’s most useful attacks is the axe mode Elemental Discharge combo, where your hunter whirls the giant axe around their head, hitting everything in a large area. This is done by pressing Circle or B three times. To change this into a more repeatable combo, replace the final input of Circle or B with a Triangle or Y. This turns the final attack into a quicker rising slash rather than an all-in slam. What are Guard Points? How do you do them? Guard Points are parts of the Charge Blade’s animation that shield you from damage without having to specifically press to raise your shield. They occur during attack animations when your hunter puts their shield out in front of them while performing another movement. For instance, when you press the Right Trigger and Triangle or Y to morph into the axe, your character slots the sword into the shield in front of them. If you’re hit by a frontal attack during this part of the animation, you’ll be protected from damage. The timing of these can be tricky to master, and are best represented in video. So if you’re stuck, try watching from 12:07 in the Arekkz video above to get a better idea. Guard Points are exceptionally useful, not only because hits blocked with them inflict less knockback, but because you can easily follow them up with a combo of your own. 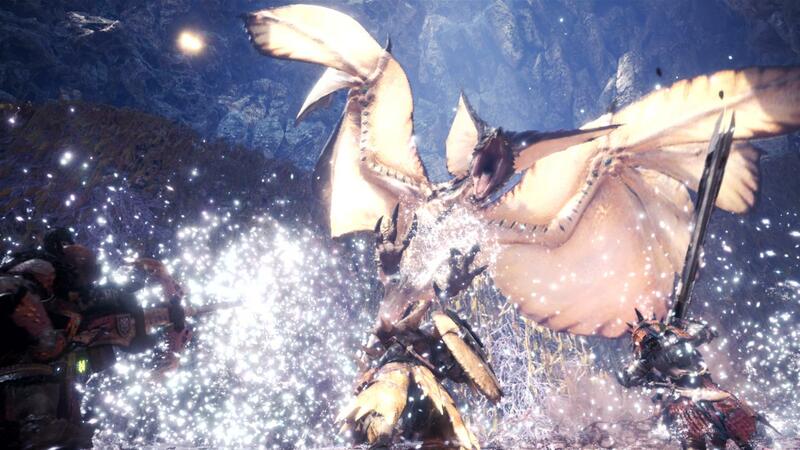 This is an advanced maneuver that takes practice to master, but is a powerful weapon in your arsenal against hard-hitting monsters like Diablos and Nergigante. If you’re looking to master ranged weapons as well as melee, check out our bow tutorial.